What a luxury to be able to buy fresh fruit right in front of your home. 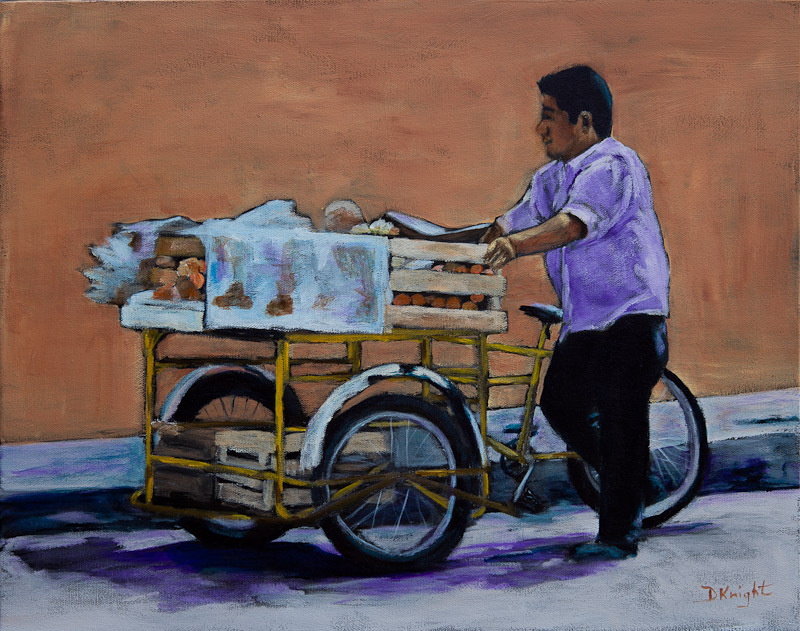 These fruit vendors on their tricycles are frequent sights in many parts of Mexico. I used a black (with some red) to under paint my canvas and then heavy pigment with no water for the actual painting. This painting took shape very quickly and I was happy with the result.